Walter Bender, founder of Sugar Labs, will discuss changing the world with technology and education during a free and open talk at 7 p.m. April 17. 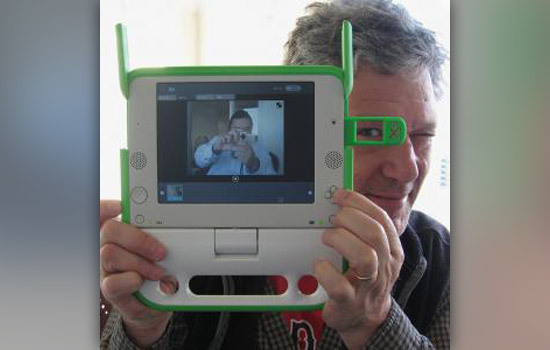 Walter Bender has worked to empower the children of developing countries to learn using technology. The co-founder of One Laptop Per Child and founder of Sugar Labs will share his lessons with educators, social entrepreneurs and technologists during a free and open talk at 7 p.m. April 17 at Rochester Institute of Technology. The discussion, held in Golisano Hall auditorium, will address the history of One Laptop Per Child, social entrepreneurship lessons and a futuristic look at attaining the organization’s educational goals. The talk will include a discussion of points from his book, Learning to Change the World: The Social Impact of One Laptop Per Child. Bender is currently executive director of Sugar Labs, a non-profit foundation that develops Sugar—a free and open source desktop environment designed with the goal of being used by children for interactive learning. He is the former director of MIT’s Media Lab and a co-founder of One Laptop Per Child, a non-profit organization with the mission of providing more information and better education to the world’s underprivileged via an inexpensive laptop. “Bender’s book not only tells the story of this pioneering effort, but also puts the lessons of what it means to collaborate and work in this environment into perspective for educators and future social entrepreneurs,” says Stephen Jacobs, a professor in RIT’s School of Interactive Games and Media. Copies of the book will be available for purchase at the signing. The talk is sponsored by RIT’s new MAGIC Center, Red Hat, StormFrog, the Simone Center for Student Innovation and Entrepreneurship and the Lab for Technological Literacy. For more information on the talk, contact Jacobs at sxjics@rit.edu. 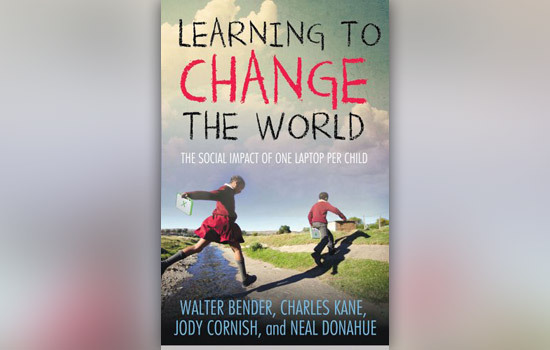 Walter Bender, author of Learning to Change the World: The Social Impact of One Laptop Per Child, visits RIT on April 17.